Nice! 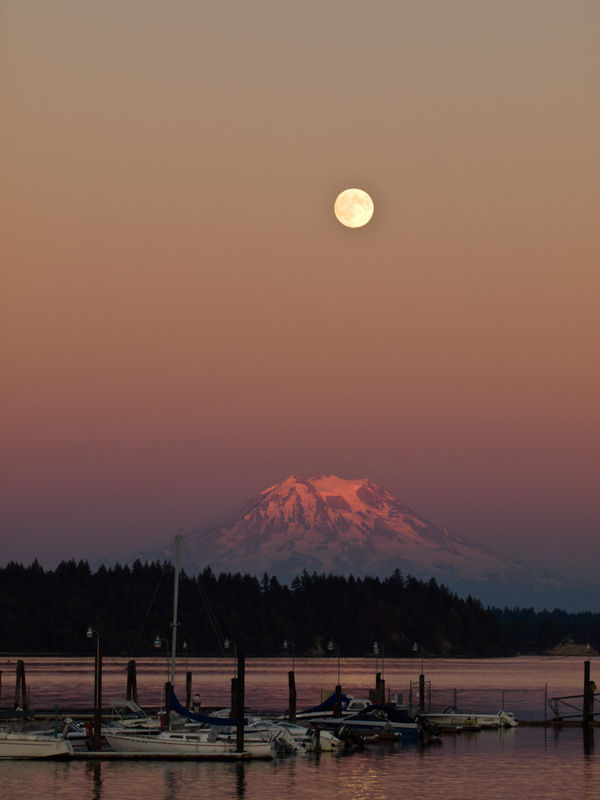 Especially the red mountaintop is good and empty space above the moon is good choise. Would work without the boats as well..